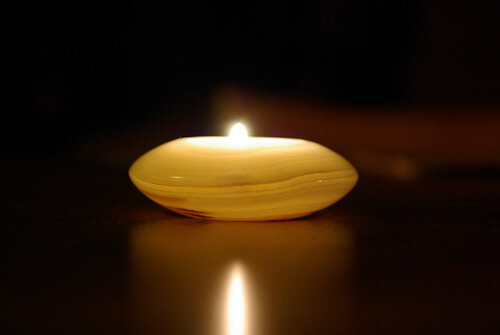 A holiday that we like to celebrate in this household is the festival of Brigid, otherwise known as Imbolc, Candlemas or Groundhog Day. To us, it marks the break between the dark days of winter and the rise of spring, as the days get longer and the garden begins to bloom again. Even though we know it’s going to keep raining until July, just the fact of being able to walk home in daylight is pretty exciting. Earlier in the day, I celebrated by going out and doing battle with blackberry vines and cutting back the hellebore leaves. 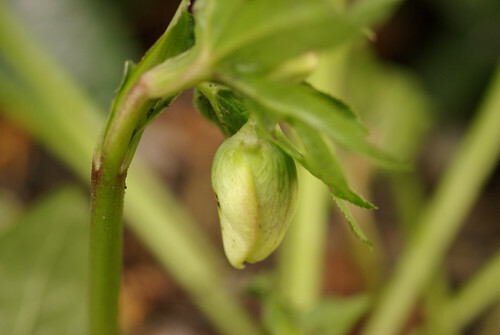 We have hellebore flowers coming up, as well as the first glimpses of snowdrops and violets. 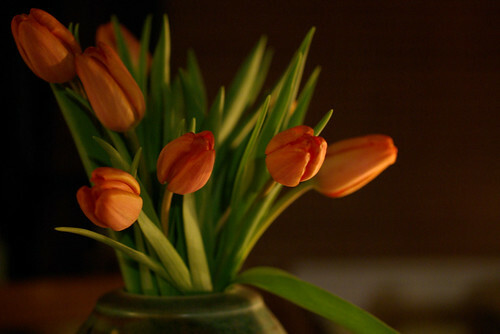 Hurray, flowers! Afterwards, we had a little cocktail hour. Jon has been trying to recreate a drink he had in Seattle a while back, the Dragon’s Toe – a mix of bourbon, cucumber, ginger juice and ginger ale. This batch came a little closer, I think. 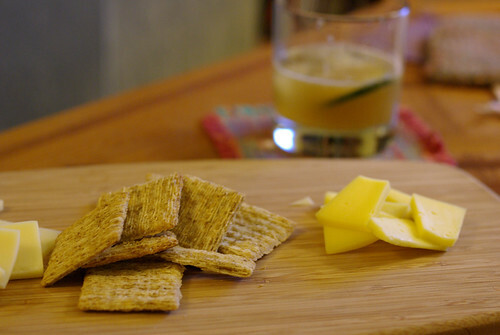 We finished off the last of our Mount Townsend Trailhead cheese – that stuff is good. Dinner was as springlike as I could manage. 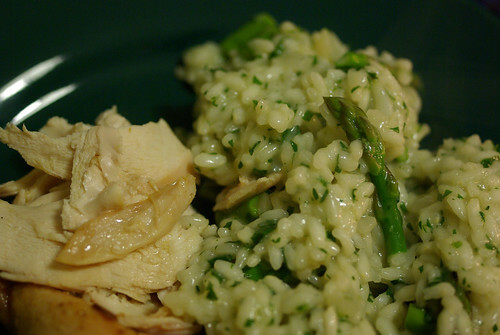 I wanted bright flavors and lots of green, so I roasted a chicken with lots of lemon and garlic and butter, then made a risotto with fresh asparagus tips (imported from Mexico, unfortunately, but I was desperate) and a big handful of chopped parsley. 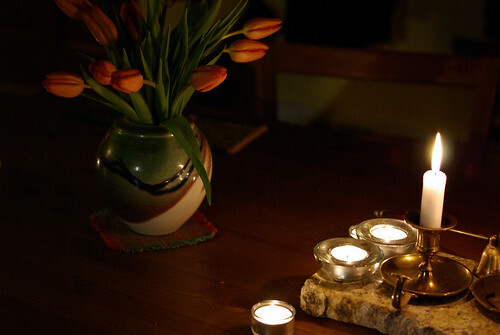 We lit all the candles we could find, opened a bottle of bright, fresh sauvignon blanc from Santa Cruz, and felt that spring might actually come. I love the fact that you guys celebrate ground hogs day!